Q: What is light sensitivity? A: Everybody has a little light sensitivity. If you look at a light that’s too bright, like the Sun, it hurts, and that’s a protective mechanism that we all share. 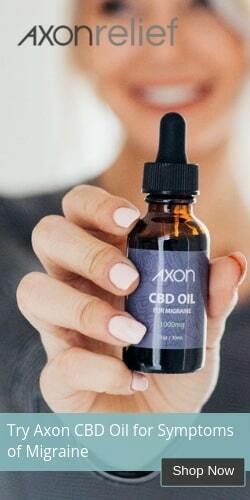 But in some people, such as people who suffer from blephoraspasm or migraines, their sensitivity to light is amped up, so that even normal amounts of light that shouldn’t bother people become noxious and painful. Q: Why do migraines cause light sensitivity? A: We don’t really know why migraines cause light sensitivity, but it’s clear nearly everyone with migraine will tell you that they have sensitivity to light during an attack and many patients with migraine will tell you that certain kinds of light can trigger an attack (particularly those found in big box stores such as Target and Walmart). 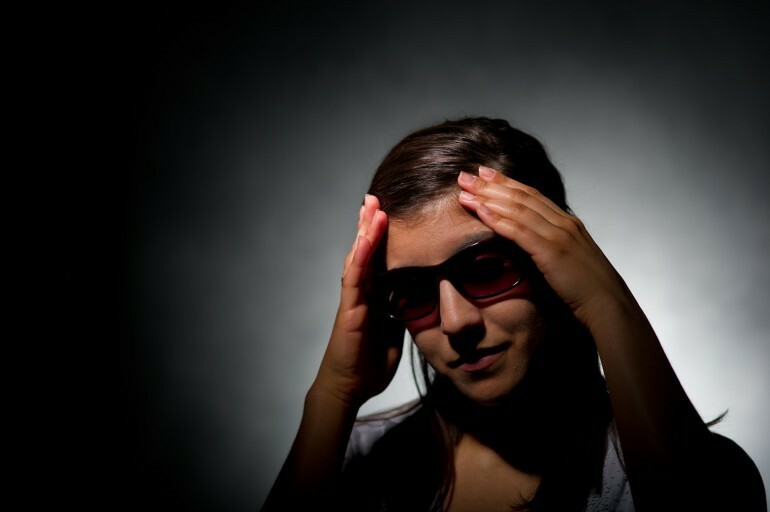 A certain number of people are chronically light sensitive, even when they don’t have a migraine. But the physiology behind why people are light sensitive is just now barely being understood. Q: Is there treatment for light sensitivity? A: We really don’t have any pharmacologic treatment for sensitivity to light. What we do have are optical treatments, or natural treatments to light sensitivity. So there are ways that we can reduce the amount of light coming into your eye that’s going to be painful and make you more comfortable. For those sensitive to sunlight you should put on a pair of sunglasses, but to reduce your sensitivity to light indoors and still be able to do your job and to function, sunglasses just don’t work. And that’s why we developed Axon’s Spectrashield FL-41 tint to reduce light sensitivity, make people more comfortable, and allow them to continue to work indoors. Axon now offers a wide range of styles for light sensitivity glasses designed for either indoor or outdoor use. Q: If I don’t like to wear sunglasses, what can I do about my sensitivity to light? A: If you don’t want to wear sunglasses or tinted glasses to reduce your sensitivity to light, your options are somewhat limited. Axon Optics does make a FL-41 tinted contact lens. Even if you don’t wear contact lenses to correct your vision, you can still get fitted for contact lenses and wear contact lenses. This may be a good way to treat light sensitivity without wearing sunglasses. Q: Are there certain types of syndromes that make people more susceptible? A: At this time we’re not aware of any syndromes that would predispose somebody to light sensitivity. However, the big conditions that are usually associated with light sensitivity are migraine, blephoraspasm, and traumatic brain injury. Those three conditions account for probably 99% of the light sensitive patients that I see in my clinic. Q: What’s the difference between using Botox and tinted glasses for light sensitive migraines? A: These therapies can be complementary. They’re addressing two different things. With Botox injections, you’re trying to reduce the sensitivity around the face and to decrease the frequency and severity of headaches. With tinted glasses, you’re trying to decrease the amount of light coming in that’s irritating the eyes and generating a migraine, making people more uncomfortable. So it’s not really an either/or, it’s a complementary approach. They work by different mechanisms and they can work together. Q: Why can eyes be sensitive to light? A: All of our eyes have light sensors in them that keep us from looking at a light that’s too bright and can damage our eyes. It’s a protective mechanism and probably helped you when you were a child to not stare into the sun which would damage your eyesight. However, in some people that protective mechanism is simply too sensitive and I believe that’s what leads to photophobia (light sensitivity) and conditions such as migraine and blephoraspasm. Q: Are people with light-colored eyes more sensitive than those with darker colored eyes? A: The notion that people with light colored or blue eyes are more light sensitive than people with brown colored eyes is simply not true. There are people that have a condition called albinism and they don’t have the normal pigment in their skin or in their eyes. Those people are profoundly light sensitive and they universally have blue eyes, so that might be part of the misconception. I am sensitive to bright lights reflected off car windows in the summer time. In my case more migraines in the summer than winter months. I have autoimmune retinopathy and am very light sensitive and bothered by glare. What do you recommend? I have extreme problems with light sensitivity in almost all situations. I am in the process of replacing my sunglasses so could your product help ? Our lenses should work for you. They work for about 90% of people with light sensitivity. If your photophobia is severe, you might consider starting with our outdoor tint instead of our indoor tint, as the lens will be closer to that which you are accustomed. I would recommend getting the outdoor tint in our Cover-RX Lite, as that can be fitted over your current dark lenses. It’s a good idea to use the lightest tint you can stand, to help prevent and reverse dark-adaptation of the eye, so you might also try our indoor tint to see if you can stand something a little lighter. Also, if you’re in New Zealand, it’s a good idea to try both at once to minimize shipping costs and possible import duties. Please email me at [email protected] if you need additional guidance. Hi, I have light sensitivity of all kinds. It started when I had cataract surgery and continued on with my dry eyes disease. I can’t drive or look in my refrigerator, watch tv or almost even open my eyes. I wesr sunglasses all the time but it minimally helps. What would you recommend? I have recently purchased a pair of your glasses. Yes, they help greatly’. However I need “readers” for computer and all print matters. Can I wear one over the other for reading and such? I have recently purchased a pair of your glasses. Yes, they help greatly’. However I need “readers” for computer and all print matters. Can I wear one over the other for reading and such? Ignore duplicate comment. I enjoy watching films but am struggling with the glare on the screen since I updated my glasses a few years ago, and I am very light sensitive now – I think my old glasses, which were trasititions, got stuck and didn’t clear properly. Can your lenses help with this without changing the colour too much?